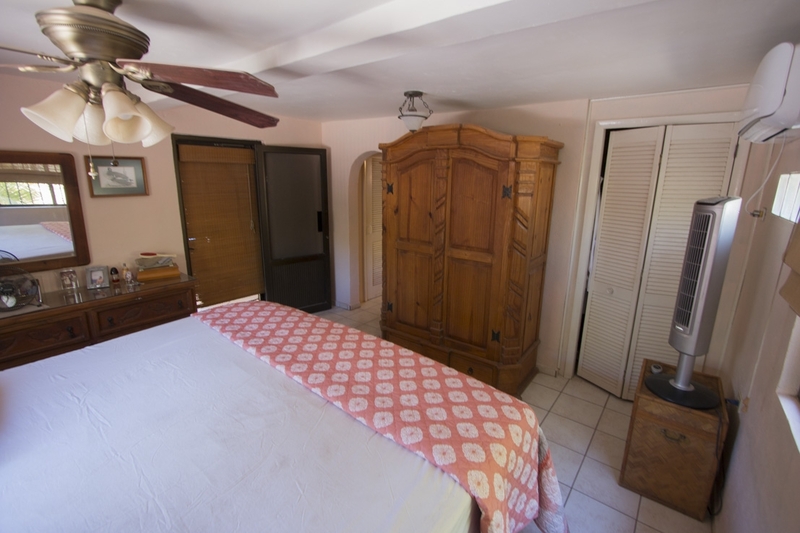 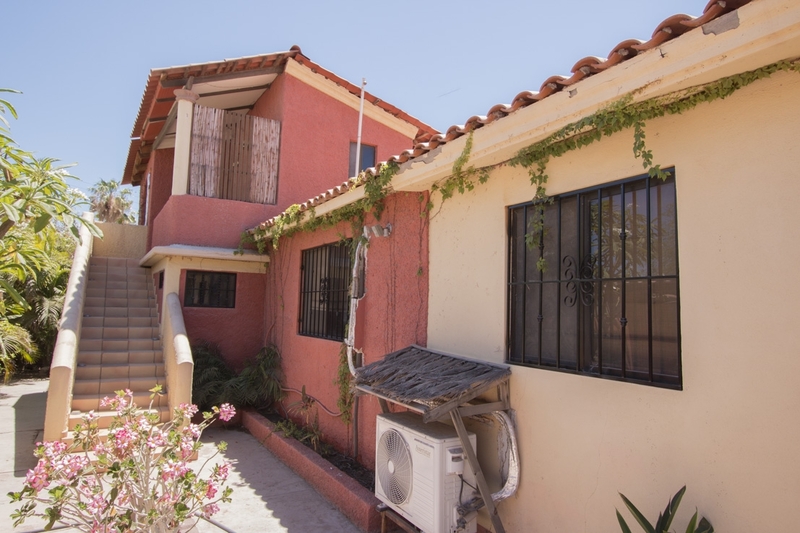 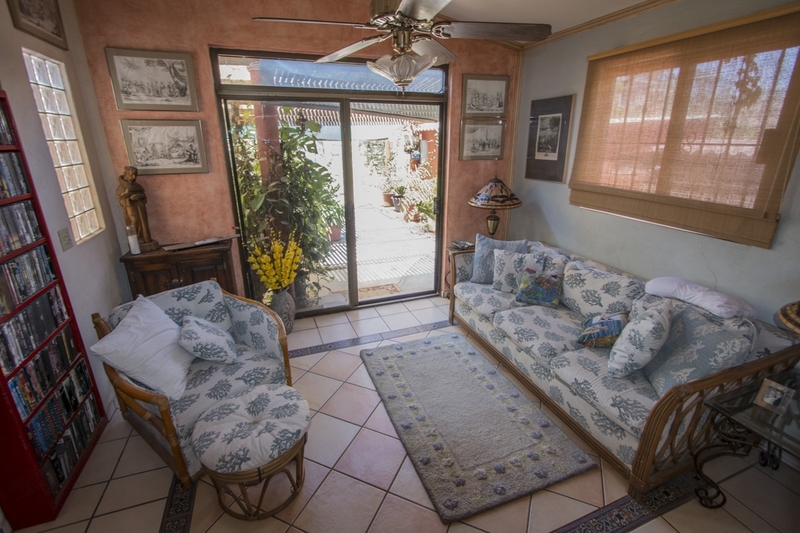 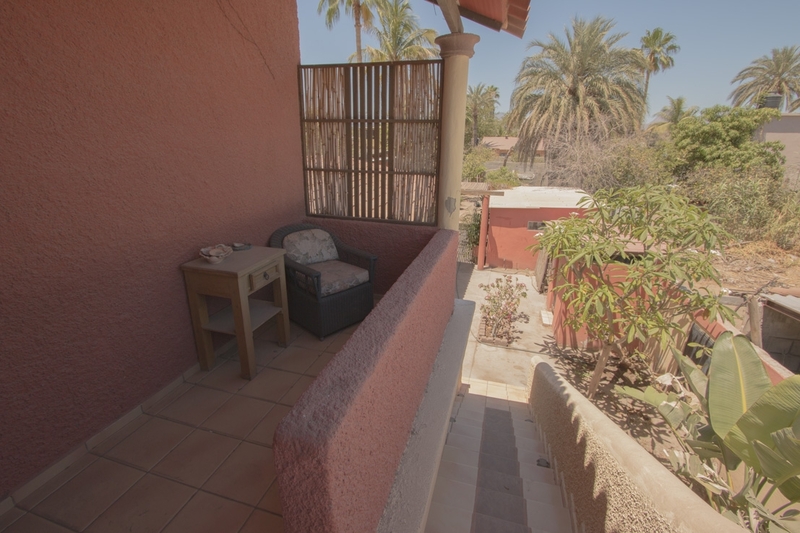 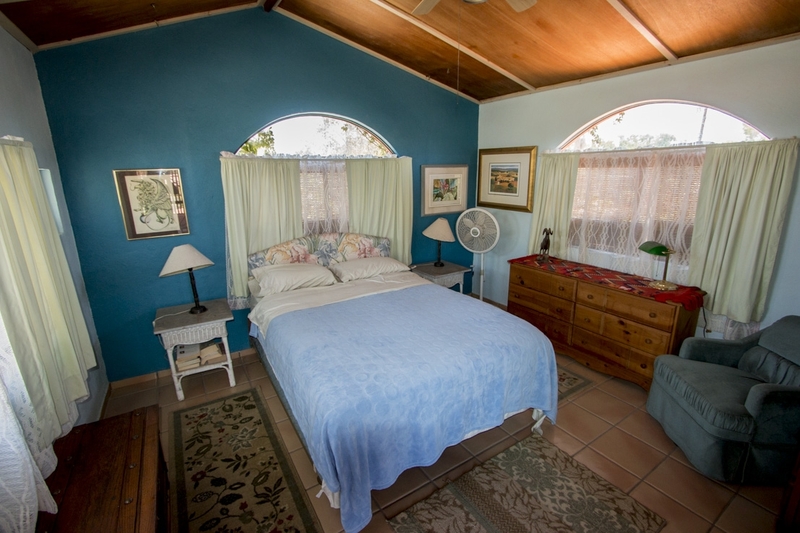 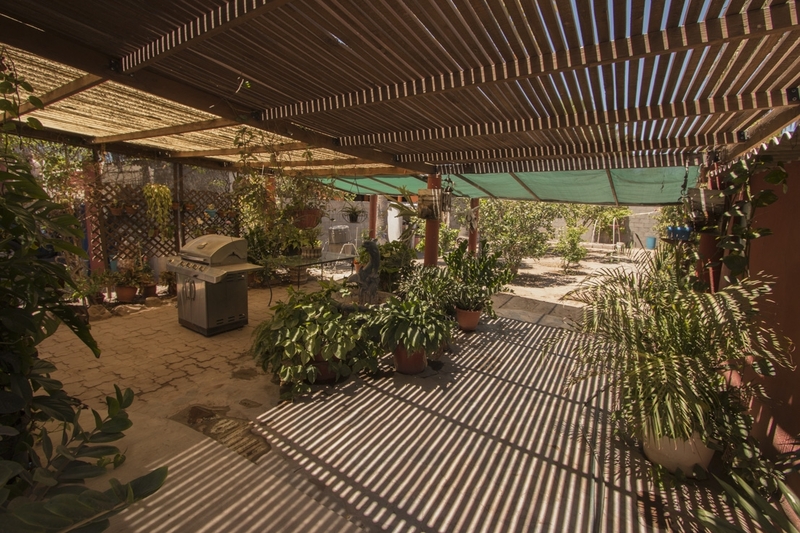 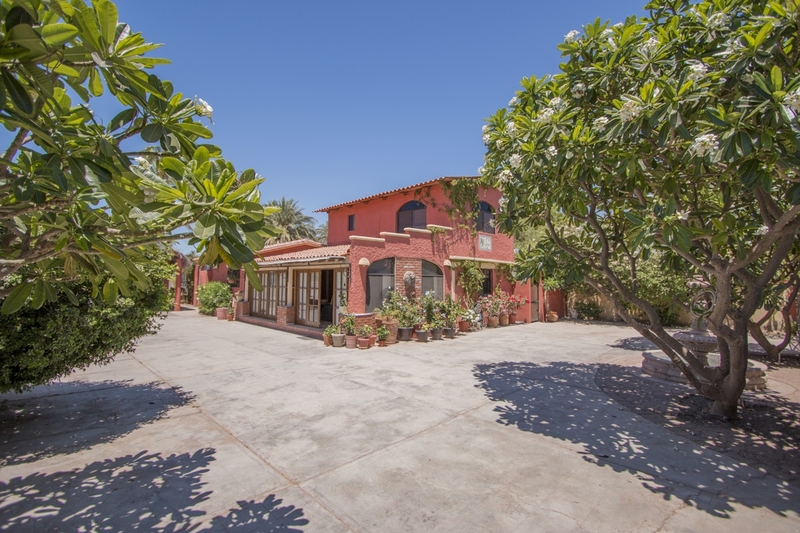 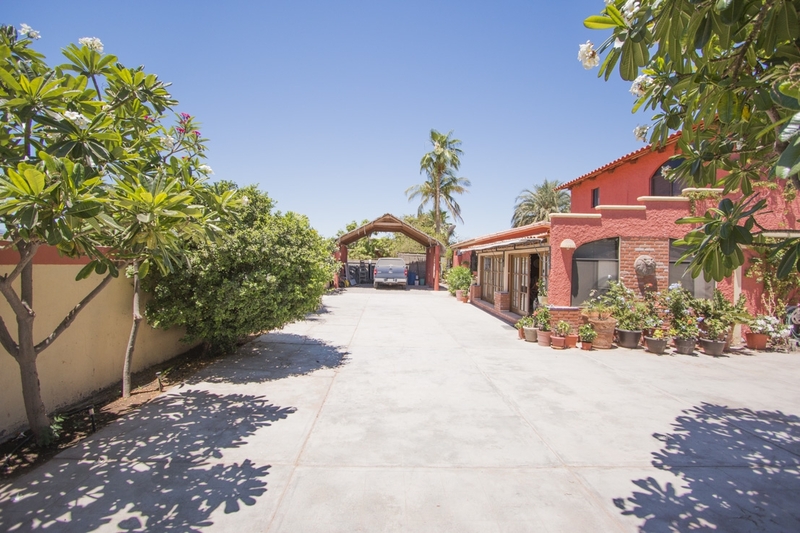 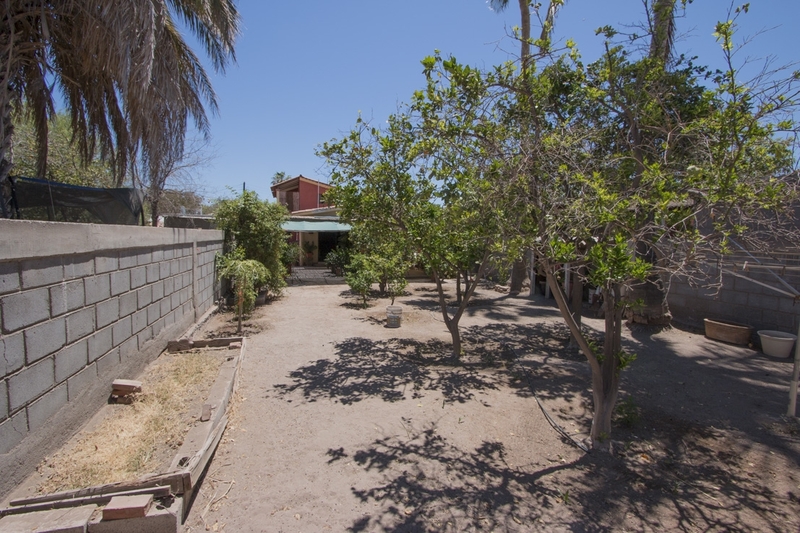 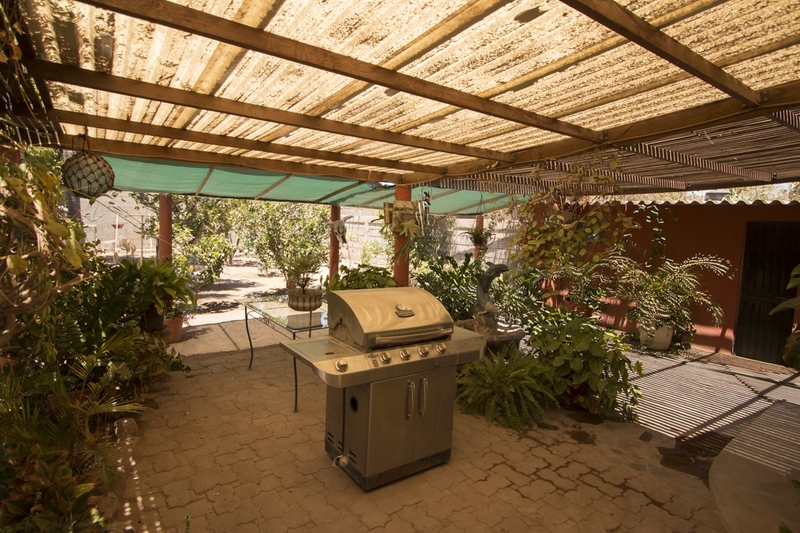 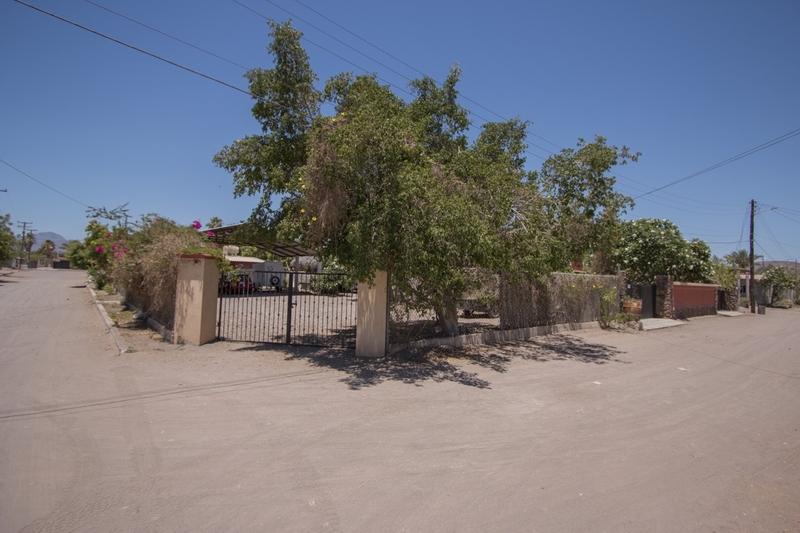 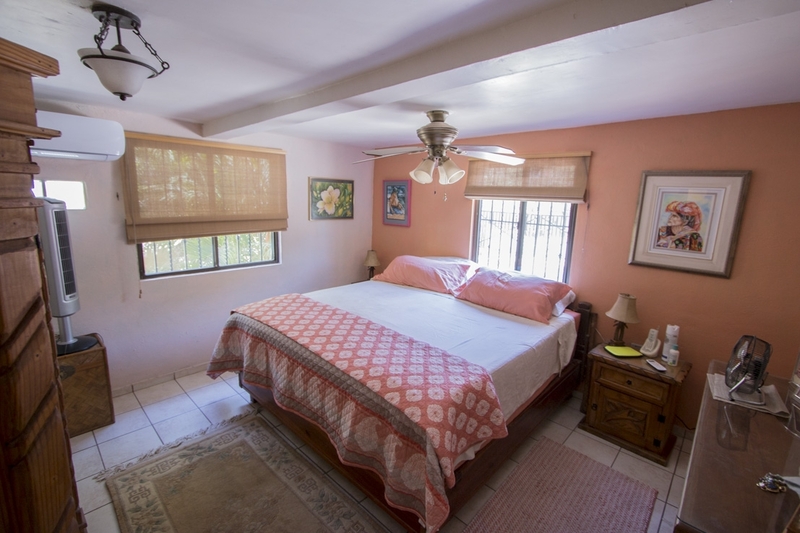 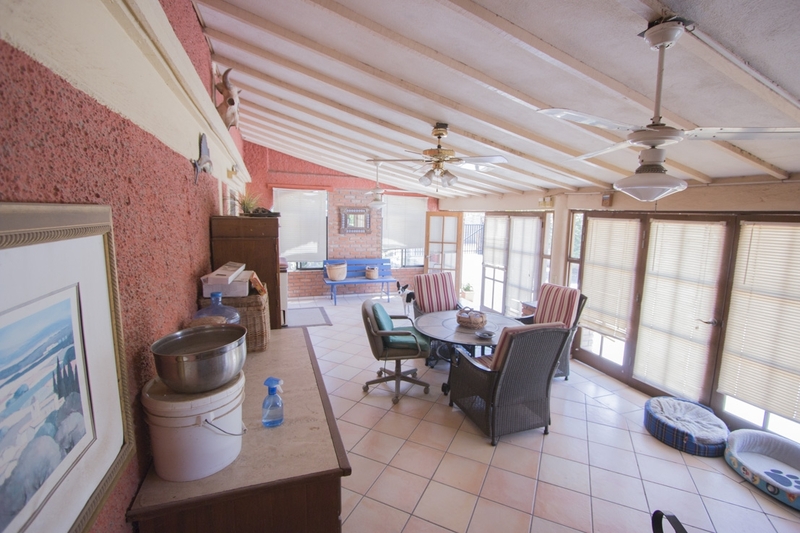 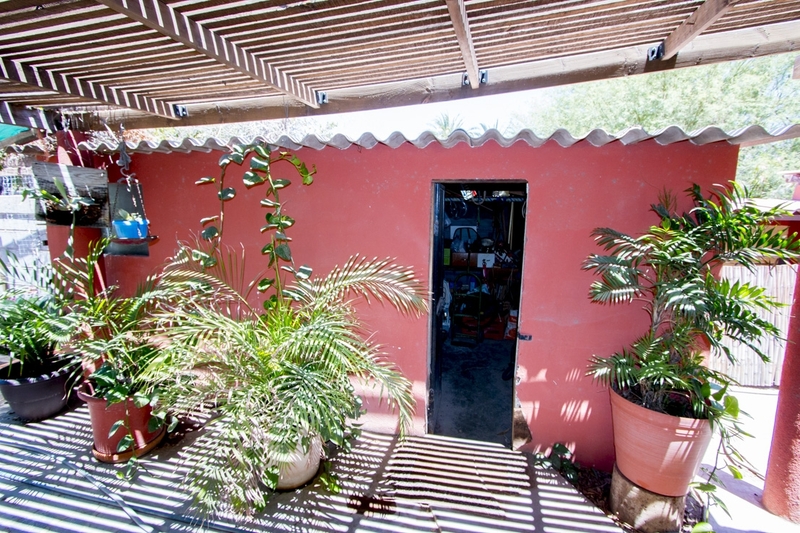 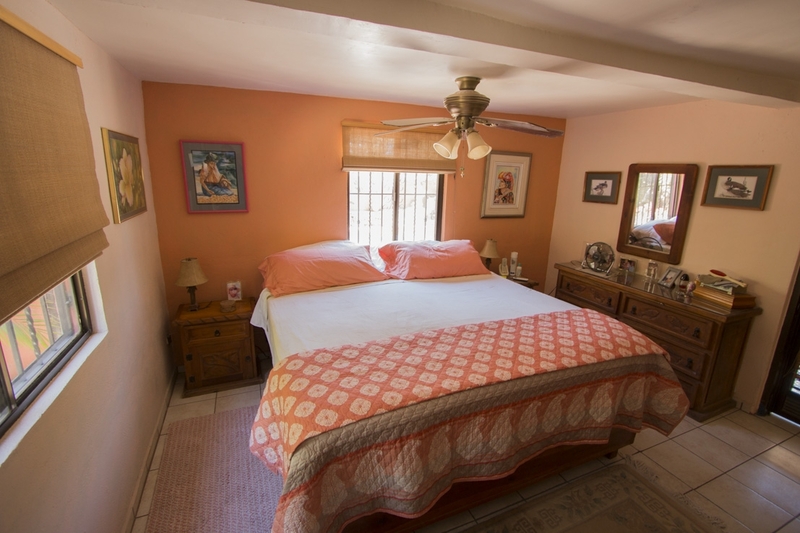 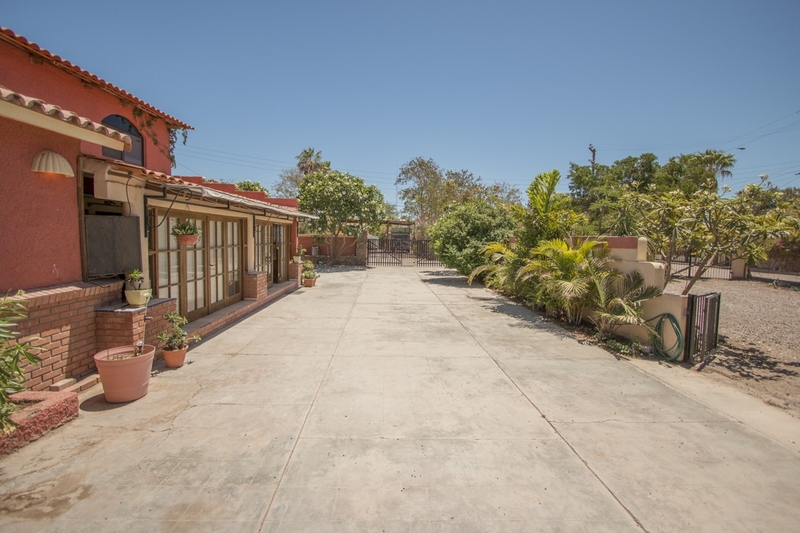 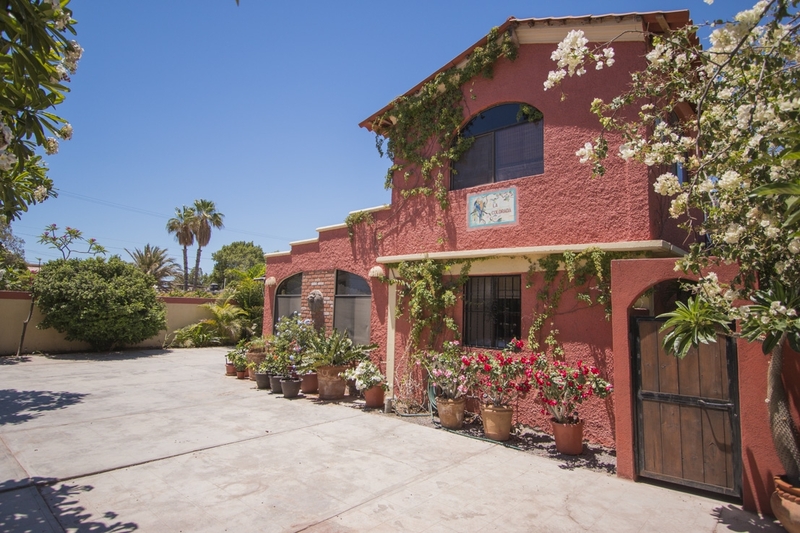 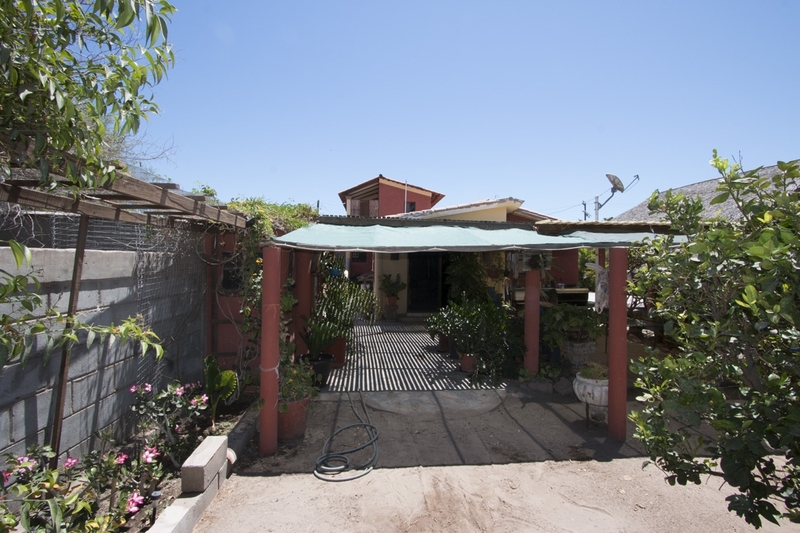 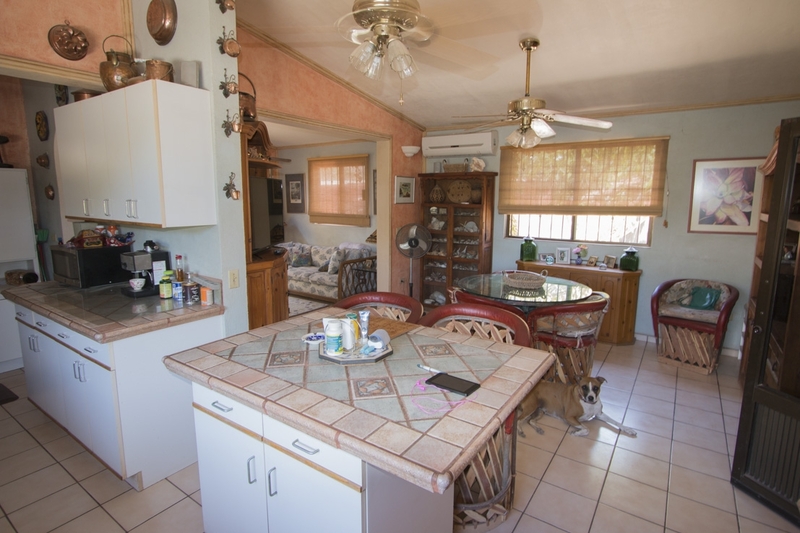 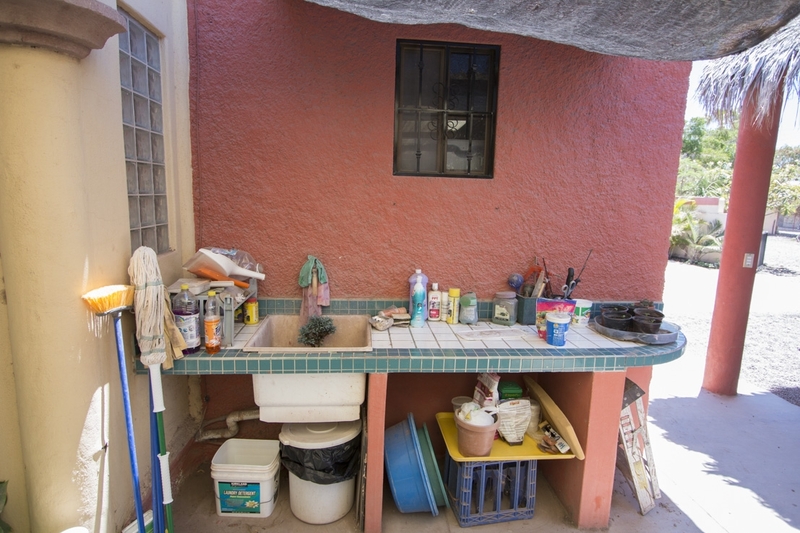 This beautiful two-bedroom, three-bathroom Loreto house for sale is situated on an enormous 4,262 square foot lot in a quiet part of Loreto. 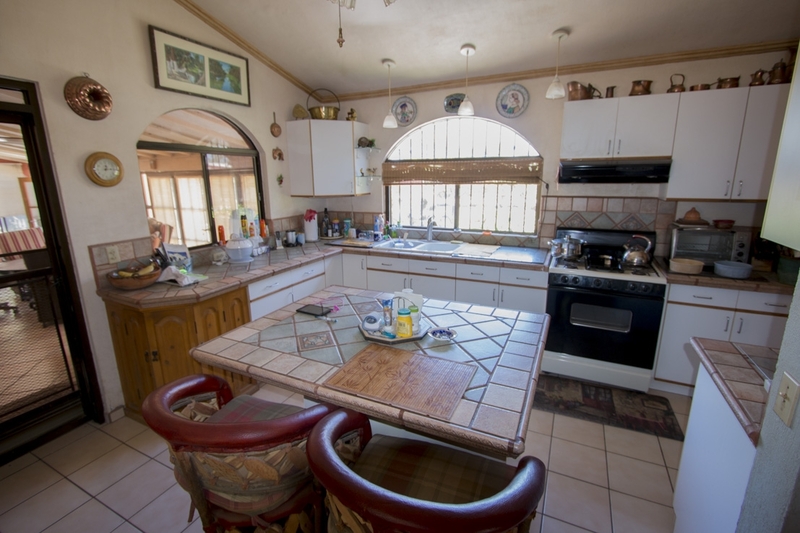 The main kitchen is bright and spacious with a lovely tile island and countertops. 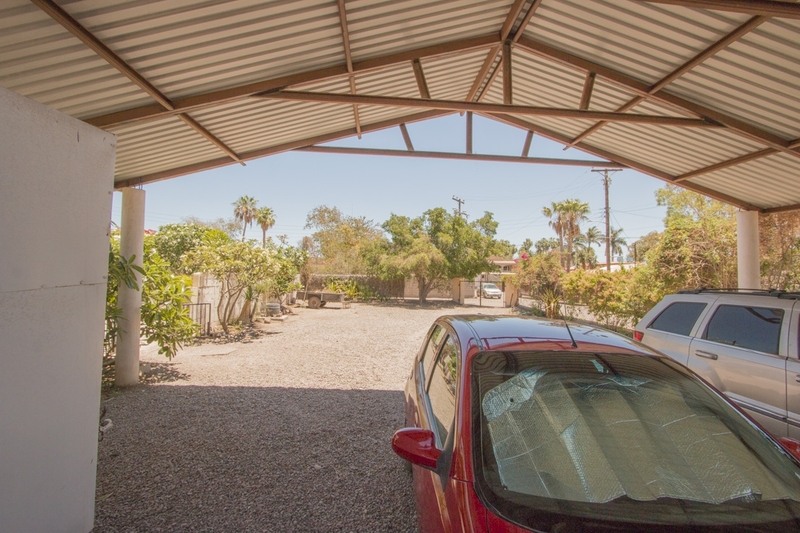 With a separate one-bedroom, one-bath unit upstairs, rental income opportunities make this property attractive to buyers wanting to supplement their income. 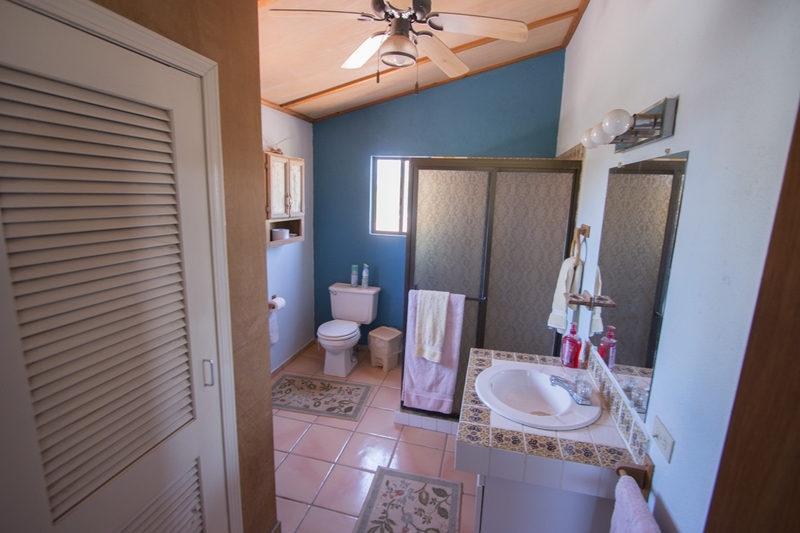 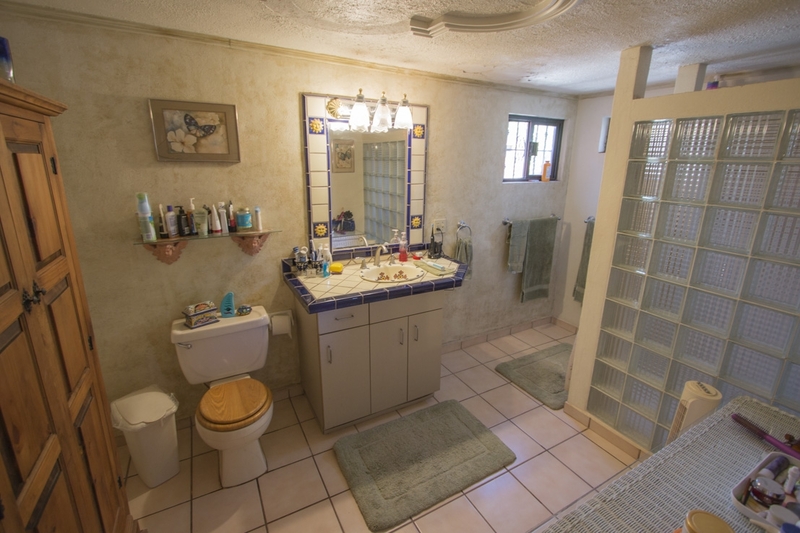 This picturesque home boasts an outdoor bathroom with shower for the summertime. 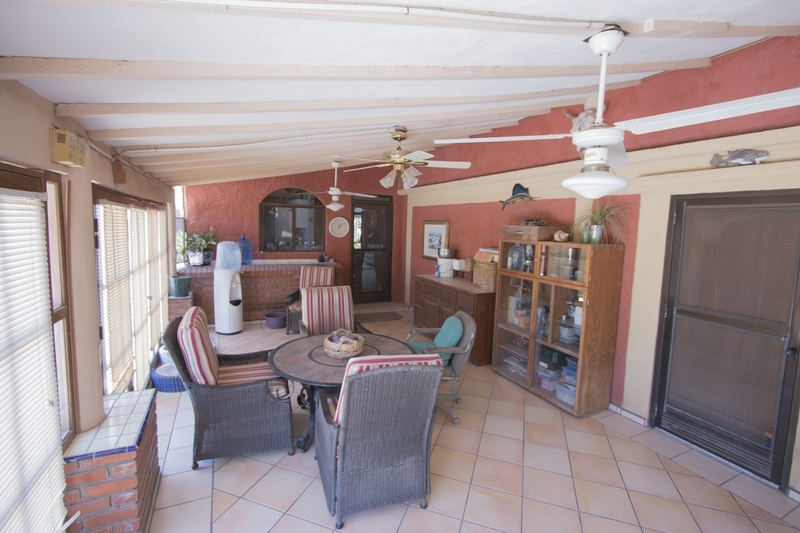 There is a large covered patio in the back with well-appointed landscaping. 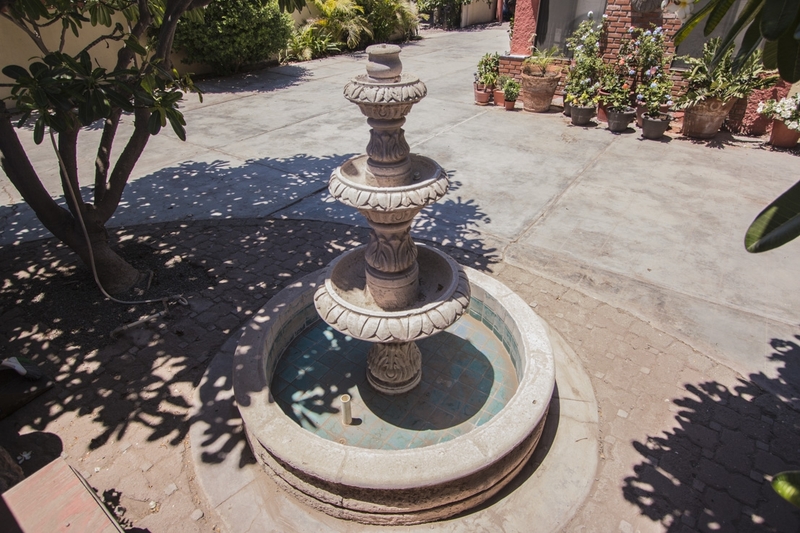 The front of the property has a large U-shaped driveway secured with gates on both the entrance and exit, with a lovely fountain and peppered with mature landscaping. 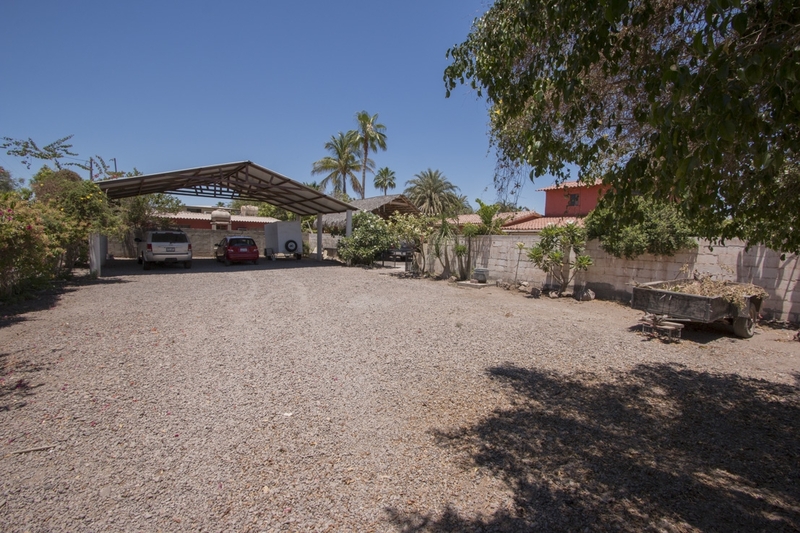 There is also a large shaded lot next door to the property that has a parking area with room for a large RV, multiple cars or water toys. 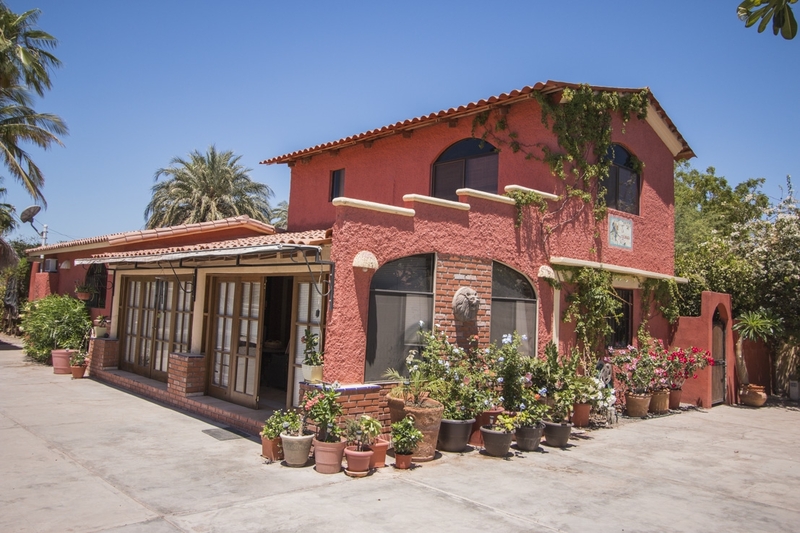 The surrounding town of Loreto itself, is an adventure-seeker’s paradise, with a historic downtown area and fantastic dining options. 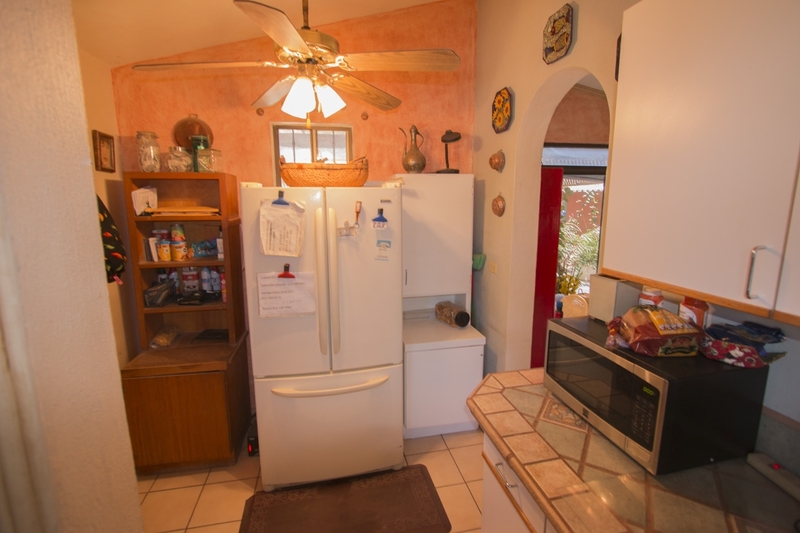 At under $200,000, this quaint home is an absolute steal and a must-see. 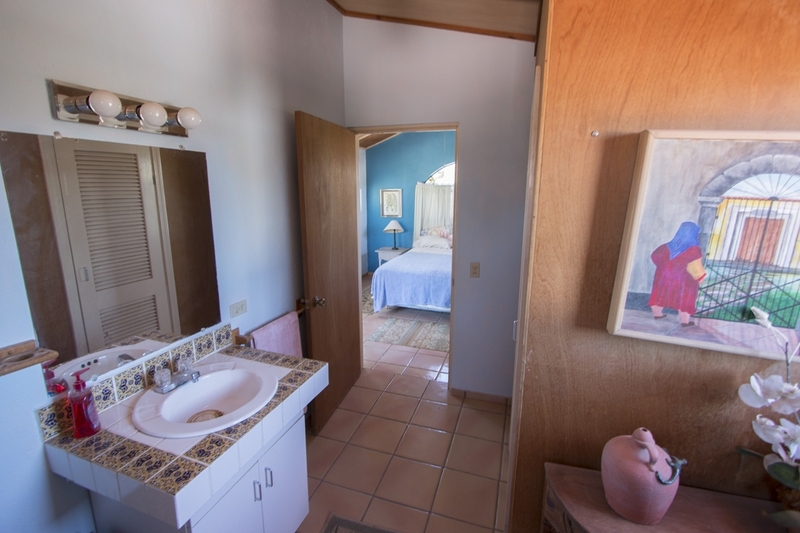 Call us at Outpost Realty to schedule your private tour. 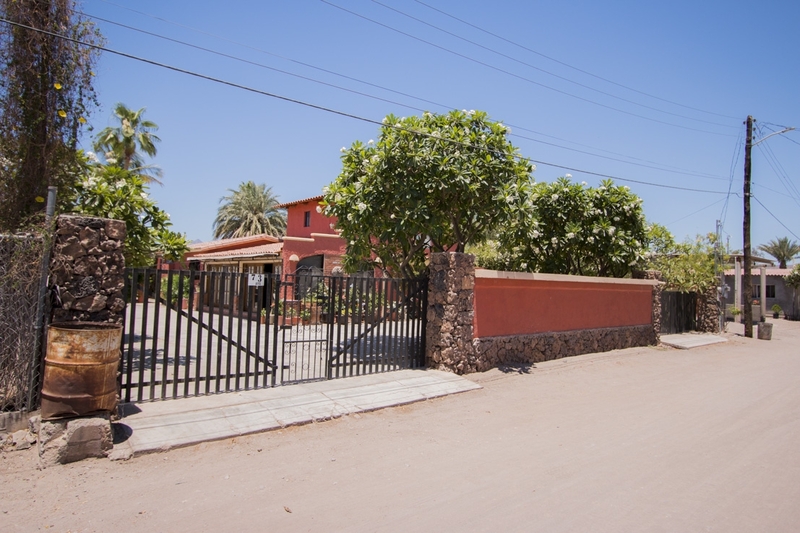 As a U.S. expat myself, I know the ins-and-outs of buying property here in Loreto. 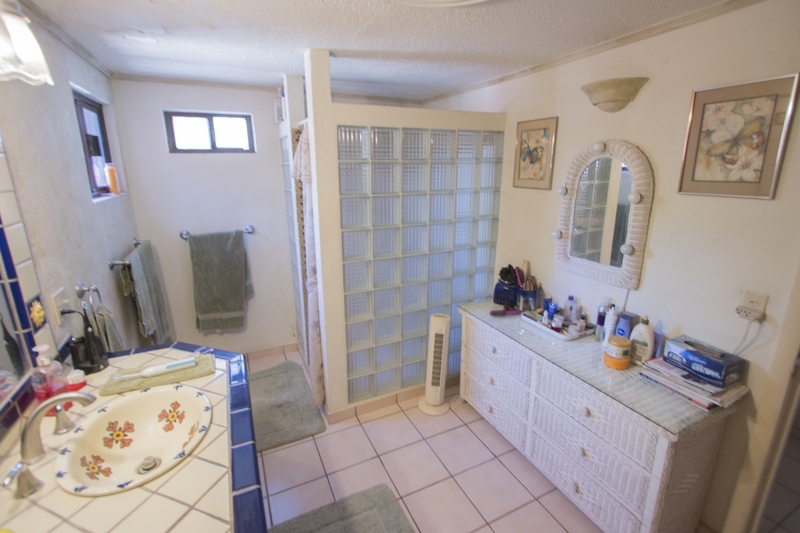 Call us at 949-836-0073 / 613-113-8218 or email me at [email protected].